Italy, officially Repubblica Italiana, is a country located partly on the European Continent and partly on the Italian Peninsula in Southern Europe and on the two largest islands in the Mediterranean Sea, Sicily and Sardinia. Italy shares its northern, Alpine boundary with France, Switzerland, Austria and Slovenia. The independent states of San Marino and the Vatican City are enclaves within the Italian Peninsula, and Campione d’Italia is an Italian exclave in Switzerland. The land known as Italy today has been the cradle of European cultures and peoples, such as the Etruscans and the Romans. 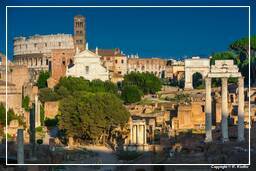 Italy’s capital, Rome, was for centuries the political centre of Western civilisation, as the capital of the Roman Empire. After its decline, Italy would endure numerous invasions by foreign peoples, from Germanic tribes such as the Lombards and Ostrogoths, to the Normans and later, the Byzantines, among others. Centuries later, Italy would become the birthplace of the Renaissance, an immensely fruitful intellectual movement that would prove to be integral in shaping the subsequent course of European thought. Through much of its post-Roman history, Italy was fragmented into numerous kingdoms and city-states (such as the Kingdom of Sardinia, the Kingdom of the Two Sicilies and the Duchy of Milan), but was unified in 1861, a tumultuous period in history known as the “Risorgimento”. In the late 19th century, through World War I, and to World War II, Italy possessed a colonial empire, which extended its rule to Libya, Eritrea, Italian Somaliland, Ethiopia, Albania, Rhodes, the Dodecanese and a concession in Tianjin, China. Modern Italy is a democratic republic. Italy enjoys a very high standard of living, and has a high nominal GDP per capita. It is a founding member of what is now the European Union and North Atlantic Treaty Organization. Italy is also a member of the G7, G8 and G20.